Wonderful image, Rick. Sensational background color. 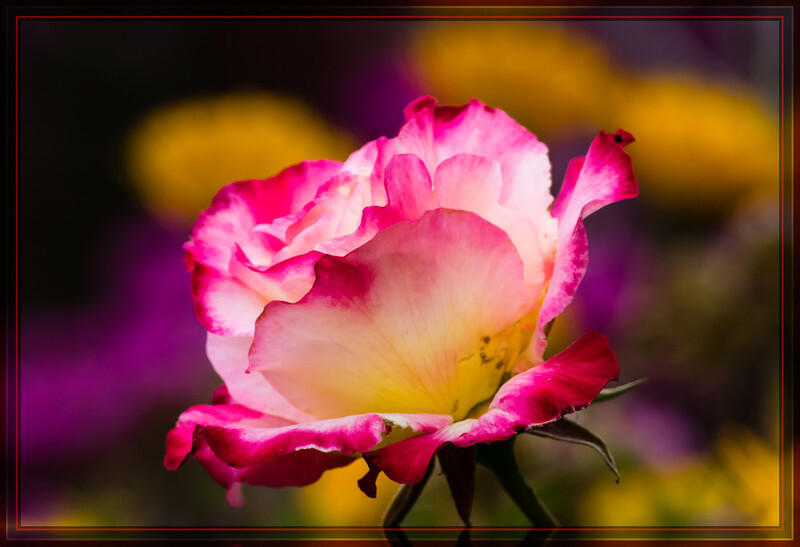 Very beautiful and delicately coloured rose !! Very much like the puples and the yelows in the bokeh ! That is a beautiful and sharp as it could be. The bokeh is beautiful and the pretty frame really sets it off so nicely. Tack sharp, excellent. Gorgeous color. Superb capture of this rose.